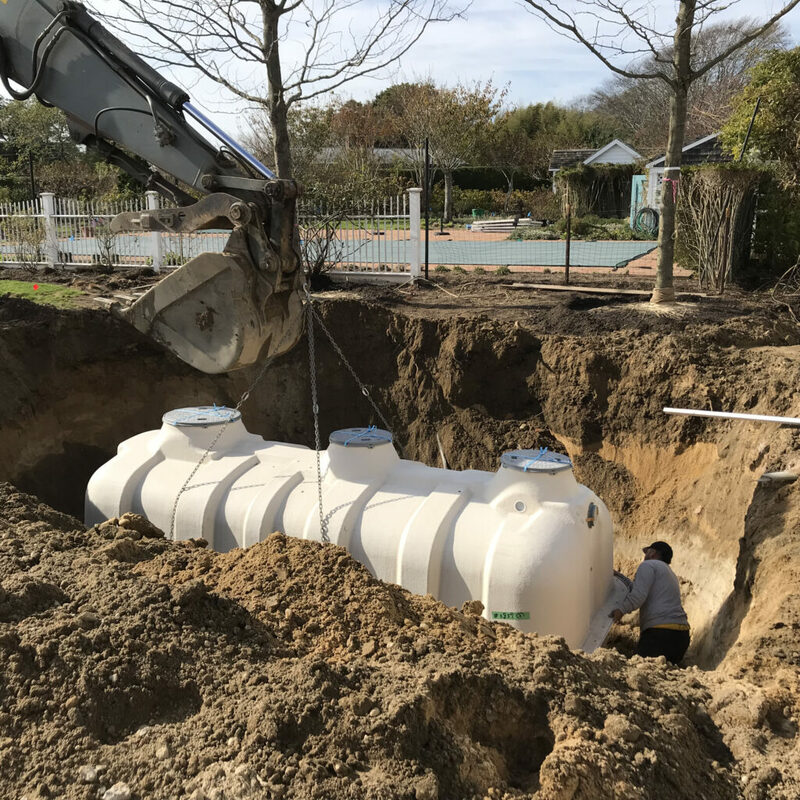 Last month the Village of East Hampton adopted a new law mandating the installation of low-nitrogen septic systems for all new residential construction and major renovations. This new law follows similar legislation adopted by the Town of East Hampton in 2017. This is great news for Georgica Pond in that now the entire water protection zone of the pond will have similar septic requirements and more homeowners will install the low nitrogen systems. Low-nitrogen septic systems are essential to battling the high levels of nitrogen entering Georgica Pond via wastewater. In fact, according to studies by the Gobler Lab of Stony Brook University, 50% of all the nitrogen entering Georgica Pond originates from septic systems. The low nitrogen systems which are used in many other states, reduce the nitrogen in wastewater by 70%. 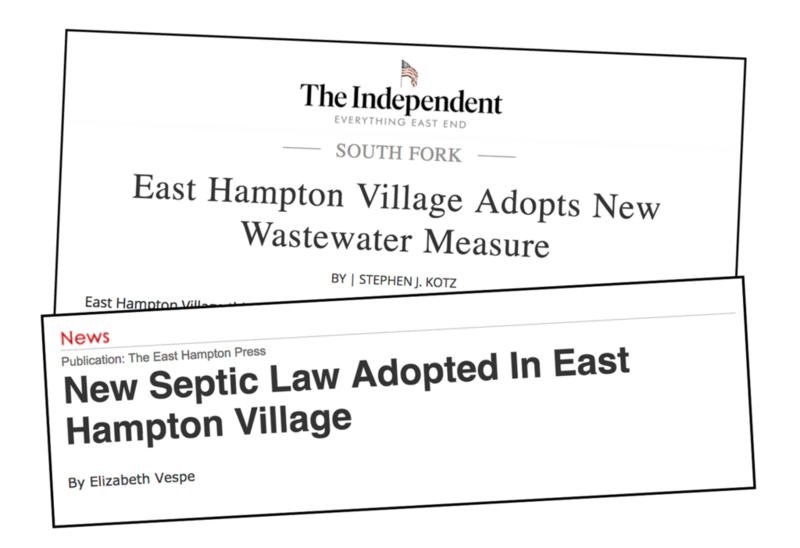 Eventually, the new septic technology will be mandated throughout Suffolk County. A new FujiClean tank is installed at a Georgica Pond home. 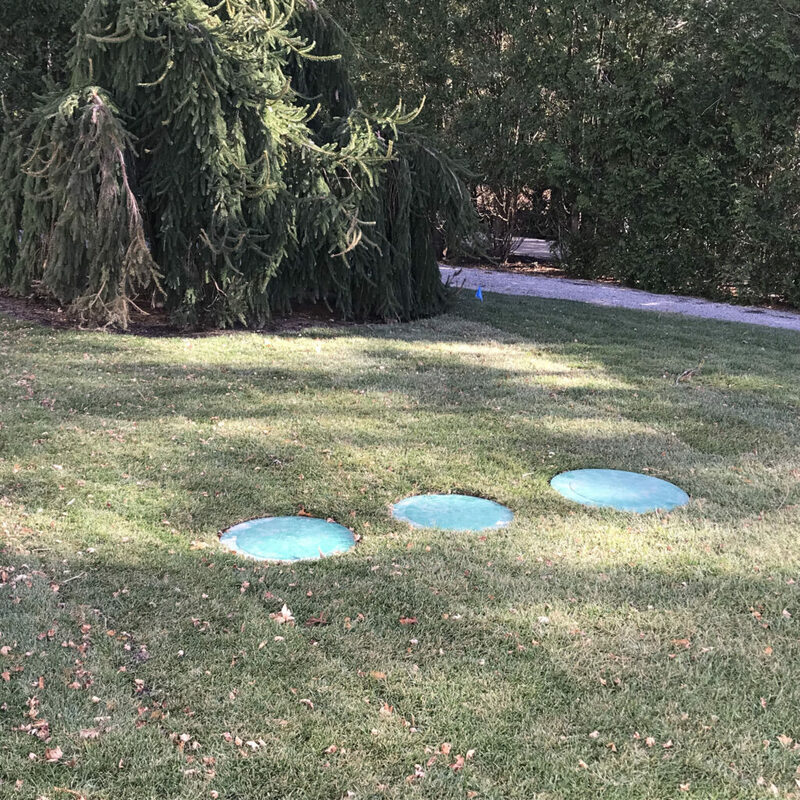 Once installed, this Hydro.Action septic system can be accessed at these points which can be easily minimized in the landscape by plantings. FOGP encourages everybody with a home near the pond to upgrade their septic systems. If done voluntarily, a homeowner may be eligible for rebates and grants from the Town and Suffolk County. The Town rebate includes village residents as well. For more information on the grant programs click on reclaimourwater.info and Town of East Hampton Septic Rebate Program. Improved water quality at Georgica Pond will mean no more floating mats of macroalgae and no more outbreaks of toxic blue-green algae. Better water quality means stronger real estate values. Toxic blue-green algae blooms remain a serious problem in Suffolk County and around the world.